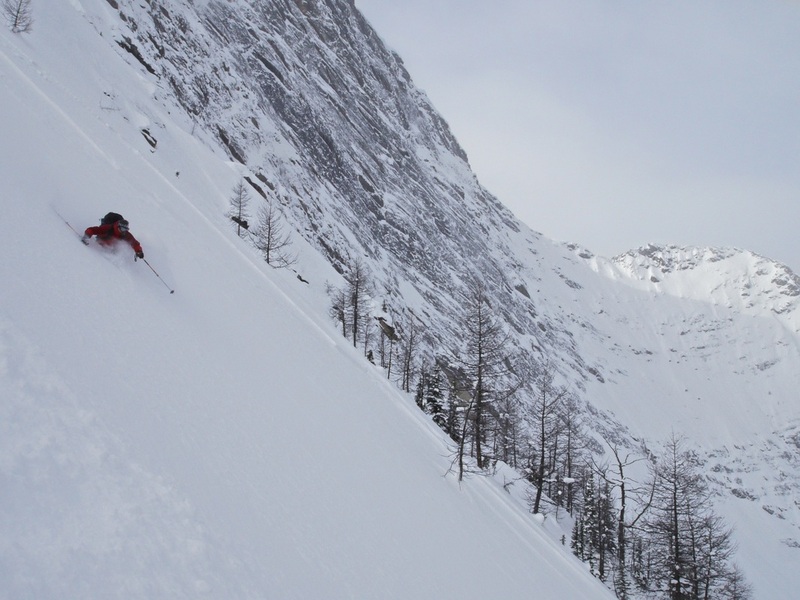 Kananaskis holds some amazing ski terrain. Step off a ridge and into chest deep champagne powder or a tight couloir framed with jagged rocks. You have been warned. This area is very addictive, be prepared for broken relationships! Kananaskis normally has less snow, extreme temperature changes, and more wind than the neighboring mountain ranges. This often results in an unstable snowpack with high avalanche danger. Always be aware of slope angle and overhead snow load. Visit Kananaskis Avalanche Forecast for the latest Avalanche Conditions. Backcountry Skiing Areas (click for details) - A list of the more popular routes located in the Kananskis Range. Backcountry Skiing Groups (click for details) - If you want to get into backcountry skiing but don't have the knowledge to get started safely, or if you just want a new partner who helps pay for gas? join a group and meet a bunch of like minded powder chasers? Backcountry Skiing Guidebooks (click for details) - Pick up a guidebook for the Kananaskis area and go exploring.